A new vaccine under development provoked an immune response to 72 forms of the bacteria that’s responsible for pneumonia, sepsis and meningitis. That’s up from the 23 forms of bacteria covered by current immunizations. The new vaccine, which represents the ‘most comprehensive’ coverage of pneumococcal disease to date, could greatly reduce the number of deaths from the disease.Vaccine under development provides the ‘most comprehensive coverage’ to date and alleviates antimicrobial concerns, new study finds. The vaccine provoked an immune response to 72 forms of S. pneumoniae — including the 23 mentioned above — in lab tests on animals, according to new research published in the journal Science Advances. The study represents the “most comprehensive” coverage of pneumococcal disease to date, researchers say. Each strain of S. pneumoniae contains unique polysaccharides. Vaccines such as Prevnar 13 and Synflorix connect these sugars — by the sharing of an electron — to a protein called CRM197. The process, known as a covalent bond, creates a potent vaccine that prompts the body to find and destroy bacteria before they colonize the body. 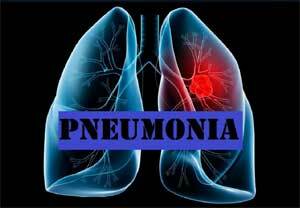 While effective, creating covalent bonds for each strain of S. pneumoniae is time-consuming and expensive. Plus, this type of immunization, known as a conjugate vaccine, prompts the body to eliminate each of the targeted bacteria types — regardless of whether the bacteria is idle or attacking the body. Co-authors of the study from UB’s engineering school include Guojian Zhang, Roozbeh Nayerhoda, Marie Beitelshees (also of Abcombi), Andrew Hill (also of Abcombi) and Yi Li; Bruce A. Davidson and Paul Knight III, both faculty members from the Jacobs School of Medicine and Biomedical Sciences at UB; and Pooya Rostami of New York University’s Langone Medical Center. Varieties of S. pneumoniae not covered by current immunizations are responsible for a small portion — for example, 7 to 10 percent among U.S. children — of pneumonia, meningitis and other cases of pneumococcal disease.